In a world of iCal's and iOS updates, the technologically challenged can sometimes fall short of keeping up with the latest in updates. Luckily, a tried and true day planner keeps me organized in my day-to-day. From organizing blog posts, to collaborations and giveaways, and even my personal life, an old fashioned day journal keeps me on track. 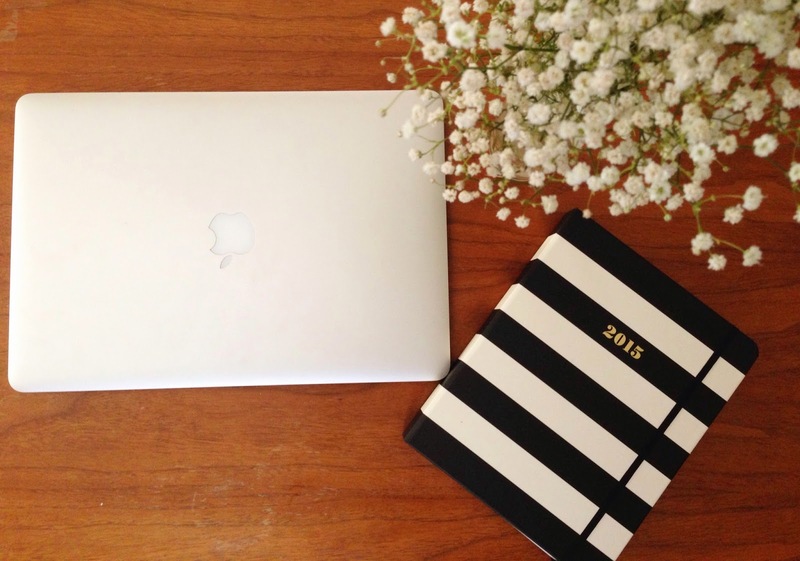 When selecting a planner, it's important to me to go with one that I will be proud to carry around everyday - and Kate Spade never fails at releasing the cutest styles - like this black and white striped one I picked up. (Also loving this one with gold dots) and I just love that the 2015 planner begins in Aug 2014. One and a half years for $36 is worth every penny to me!